As you all know by now, the devastation brought by Super Typhoon Haiyan was felt throughout Southeast Asia and it was the Philippines, especially in the Visayas province, that was most affected. It is the deadliest typhoon in the country that was ever recorded. were injured according to the latest news reports. Out of the 14 million people affected, 4 million were displaced, at least a hundred thousand of them are still staying in evacuation centers and among them are helpless children. I previously wrote a post about the super typhoon hoping to lead readers to donate to reputable organizations that were helping the typhoon victims. I myself made a donation through UNICEF Philippines and some days ago I got a message from them giving update on what help has been rendered and how the people are recovering so far. Below is an infograph that shows where the donations went. Children in the evacuation centers still need help and are fighting for survival. 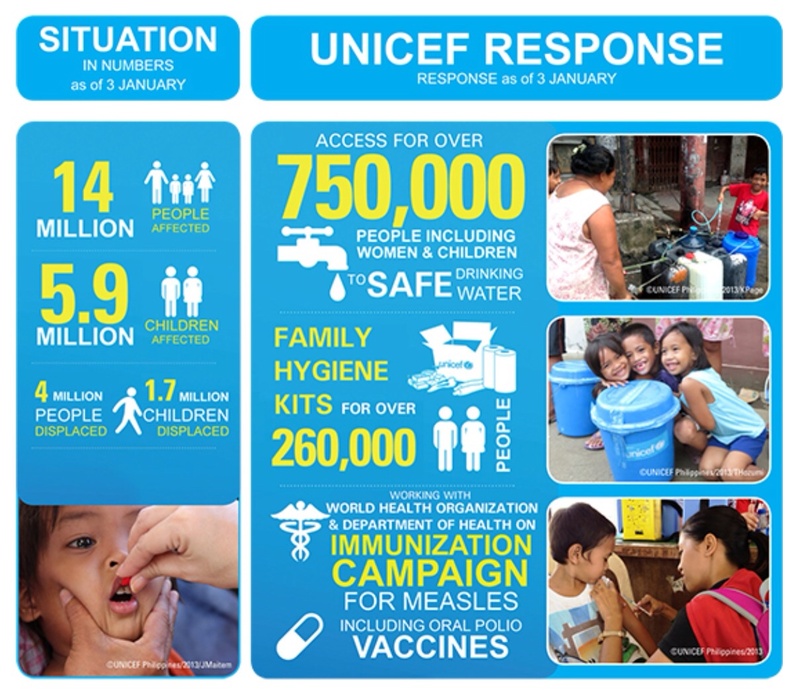 Click here to donate to UNICEF Philippines. Thanks Cascia! The links in the post are now working. How devastating! I will keep all the victims and families affected by this in my prayers!